| new music: jose padilla "solito"
It’s been bubbling up under the surface in more temperate pockets of around the globe for some time now, but this summer Balearic music is officially seeing a widespread and well-deserved renaissance. This is in large part thanks to the efforts of the Uruguay-born, Ibiza-based label International Feel, founded by ex-Future Loop Foundation artist and music business guru Mark Barrott. Those in the know might finger Barrott as the man who single-handedly ushered in the late ’90s-early 2000s hotel soundtrack era dominated by downtempo, chill out, and jazzy beats. Leaving this business behind once success had run its course, he relocated to South America (and more recently the White Island) and turned his attention to a bespoke label dedicated to fine, breezy music and bringing musical legends out of retirement. First there was DJ Harvey, and now some three years later, he’s set his sights on guiding light within the chill-out scene, original Cafe Del Mar DJ and forefather of the Balearic sound, Jose Padilla. A DJ and producer whose career dates back to the mid-70s, Padilla began playing records in Franco-era Spain. Relegated to native folk music and the spare oddity he could dig up during that tightly controlled period in Spain’s history, Padilla’s unique ambient-folk-jazz-new wave sound was forged early on. 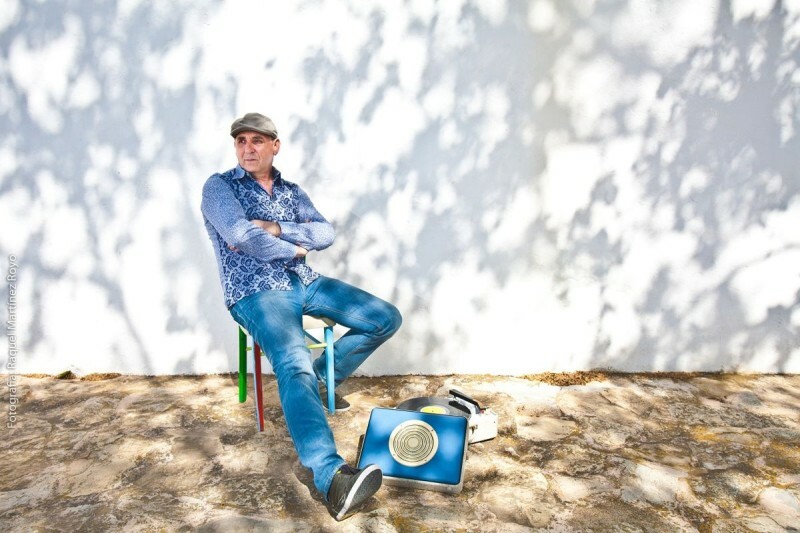 It’s a sound that grew to become synonymous with Ibiza as he graduated from selling home-recorded tapes at the local market to helming the DJ booth of the world-famous Cafe Del Mar, where his sunset sets cemented chill-out as its now known and became the stuff of legend. Recent years have been quiet for Padilla, but no more. Back in the studio recording a full-length for Barrott’s label, the first fruit of his work is set for release on July 7, and Abstract Science is fortunate to have the jump on forthcoming single “Solito.” A glowing odyssey through dusk sun, salty sea air and foreign lands, the track is true to the classic chill-out essence, but is subtly brought into the new millennium through its spacey mix of analog bass arpeggios that twist through the track and its haze of synths, atmospherics, and North African chanting. They say true Balearicism is all about feeling and “Solito” doesn’t feel like unbridled fun in the sun that defined much of the carefree chill-out heyday. There’s a calm, reflective maturity here, one that can only come from an artist who helped create a sound that in many respects has run it’s course and is ready to move in a new direction with its old master.